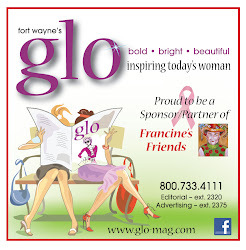 The Fort Wayne Home Builders Association presented a check to Francine's Friends Mobile Mammography at its monthly luncheon meeting on October 19th. The 2011 Parade of Homes, with homes located in the sub-division of Valencia at Rothman Road just east of Maplecrest Road, donated a portion of ALL ticket proceeds to Francine's Friends to help with the costs of screening mammograms. Read related post here. Shown in the photo above from left to right: Sharon Simmons, Board President, Francine's Friends; Craig Yoder, Colonial Development and 2011 HBA President; and Teresa White, Volunteer and Community Resource Manager, Ronald McDonald House, who also received a portion of ticket proceeds. 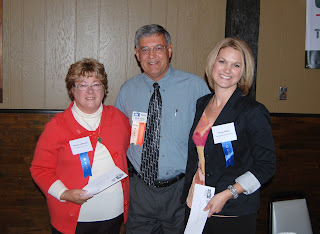 We thank our FRIENDS at the Fort Wayne Home Builders Association for their support!